Chris practices in all areas of civil litigation, with a focus on employment discrimination and personal injury. During law school, Chris was hired as a law clerk in a small employment law firm in Lee’s Summit, where he dedicated his research to the ever-changing litigation practices involved in employment discrimination. In addition to work, Chris tailored much of his law school coursework specifically to the areas of federal and state employment law. After graduating law school, Chris continued working as an associate with the firm, which allowed him to gain experience in other areas of the law including personal injury, auto accidents, estate planning, and traffic. Today, after opening Playter & Playter, LLC, Chris’ practice is dedicated mostly to representing individuals who have been wrongfully terminated from their employment or injured in auto accidents. However, to best serve the needs of his community, Chris regularly writes wills, advises on estate planning, and handles all types of traffic tickets. Although Chris’ legal experience and education has allowed him to develop habits and skills that have led to past successes, he merely draws from that foundation to develop legal strategies that will meet the needs of his clients as individuals and focuses on minimizing the stress litigation can cause. 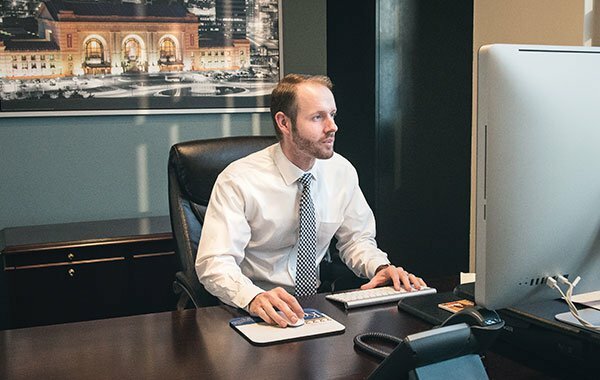 As a result of his recent trial and litigation successes, Chris was selected as a 2016 Missouri & Kansas Super Lawyers “Rising Star” in the area of Employment Litigation. This exclusive list recognizes no more than 2.5 percent of all attorneys in Missouri and Kansas. Chris was one of only twenty attorneys selected in Missouri and Kansas for this category. When not practicing law, Chris splits his time between playing, watching, listening to, thinking about, or anything else relating to sports and spending time with his wife and son. Kristin and Chris welcomed their second son in March of 2017.